Callout Details for 2017 Walton & Frinton RNLI | The Royal National Lifeboat Institution - Saving Lives at Sea. 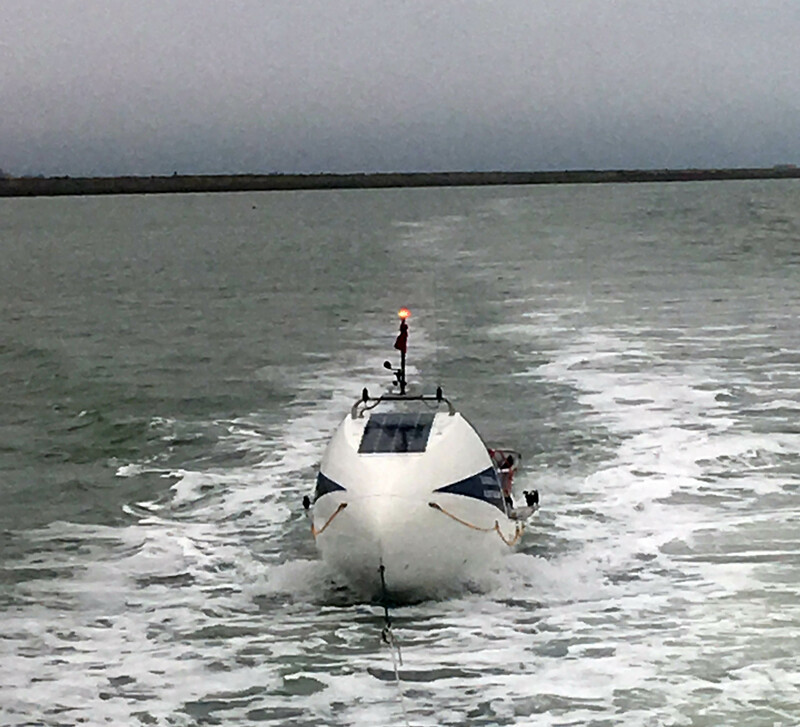 Launched on service to Atlantic Rowing boat Sand Saddle Sea 13nm SW of Walton Pier unable to make headway into Burnham On Crouch. Once on scene, two crew members were taken from the rowing boat and a tow was attached with a destination of Burnham Yacht Harbour. Launched to service to assist Royal Navy Divers in the detonation of unexploded ordnance which had been located 1.5nm of off Holland Haven. Royal Navy divers located the 1400LB World War II bomb which had become entangled in fishing nets. Launch to yacht with engine failure .5nm SE of Walton Pier, on arrival towline attached and yacht towed to Titchmarsh Marina. Launch to motor yacht with medical emergency on board 3 miles NE of Walton Pier, 2 police vessels and Harwich ILB also tasked. Rescue Helicopter 163 put paramedic onto Walton LB to transfer to yacht, casualty transferred to police vessel and landed at Harwich LB station to ambulance. Yacht taken in tow by Walton LB to Harwich Crew of yacht taken on board Walton LB and landed at Harwich. Later yacht escorted to Levington Marina by LB. Launch to inflatable drifting out to sea 1nm miles . Walton Beach Patrol Jet Ski confirmed no ,persons aboard, search stared until confirmed no persons missing. LB returned to station. 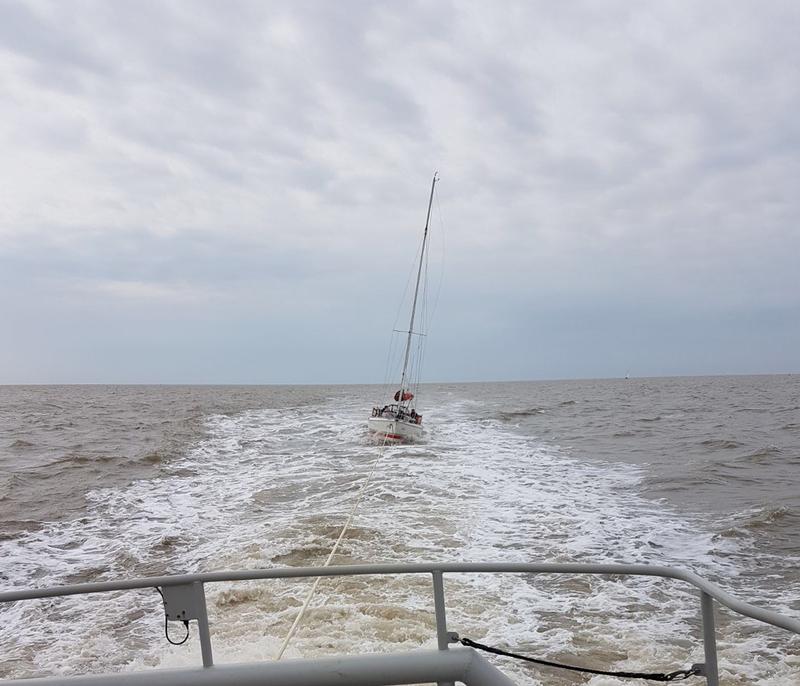 Launched to yacht Dream Catcher aground on rock breakwater at Jaywick 6.5 miles SW from Walton Pier, yacht crew taken off by Clacton ILB, Walton LB stood by until all safely ashore. On return to station, lifeboat diverted to search for person in water off Clacton, person recovered from shore. 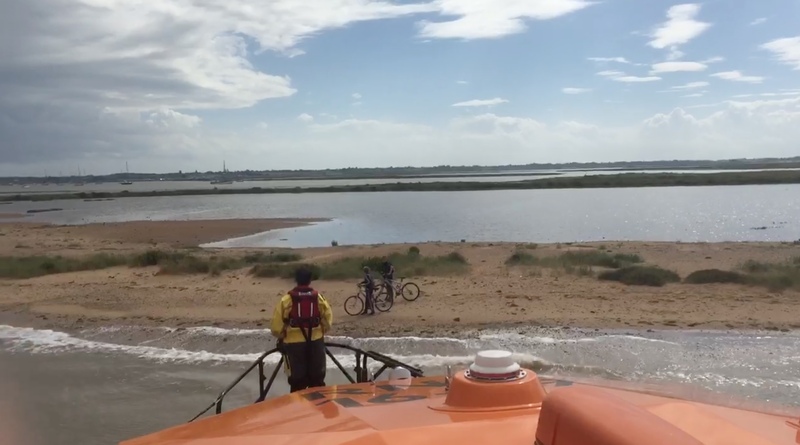 Launched to 2 youths cut off by the tide at Stone Point, on arrival Y boat launched, youths and bikes taken on board and landed at pier. Launched to assist yacht Elementary aground on Long Sand sand bank with 3 POB. On arrival Lifeboat took crew from the yacht onto the boat. Yacht re-floated and towed to Shotley Marina. Crew: T Halls, R Farrance, K Bigwood, R Bettany, K Bruce, S Berry & D Steggles. Launched to assist yacht Astrea becalmed with engine failure 30 miles ESE of Walton Pier, close to the South Galloper Buoy. Yacht towed to Levington Marina. Launched to assist yacht Sundance with fouled propeller, 1 Mile SW from Walton pier. 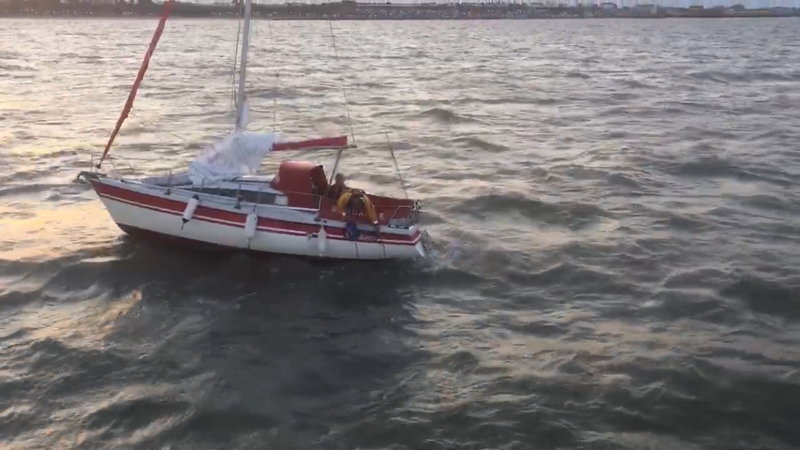 Yacht freed from fishing line and towed to Shotley. Crew: T Halls, R Farrance, K Bruce, S Berry, K Leech, D Steggles & S Bettany. Requested to launch and check that inflatable had no persons on board & retrieve. Inflatable located 200m past Walton Pier. Crew: T Halls, R Farrance, K Bigwood, S Berry, M Rayner, T Peters. Requested to launch to assist a yacht Emma with fishing gear fouling propeller, 1.5 miles NNE of Walton Pier. Once on scene fishing gear cut free and yacht towed to Walton Backwaters. Whilst on exercise in Walton Backwaters lifeboat was requested to assist yacht with engine failure at Island Point, crew member put on board to assist. Engine restarted, yacht escorted for short distance until yacht happy to proceed to Titchmarsh Marina. Launched to assist assist with evacuation of injured female who had fallen off of sea wall at the water's edge on Frinton Beach. Y boat deployed to stand by as coastguard put casualty into strecher and removed her from the beach. Launched to assist ex RNLI lifeboat aground on Long Sand 12.5 Miles SSE from station, 2 lifeboat crew put aboard casualty which was then towed to Harwich. Launched to assist two people and dogs cut off by tide under Naze Cliffs by very high tide. Y- Boat launched to transfer people and dogs to lifeboat and landed at pier. 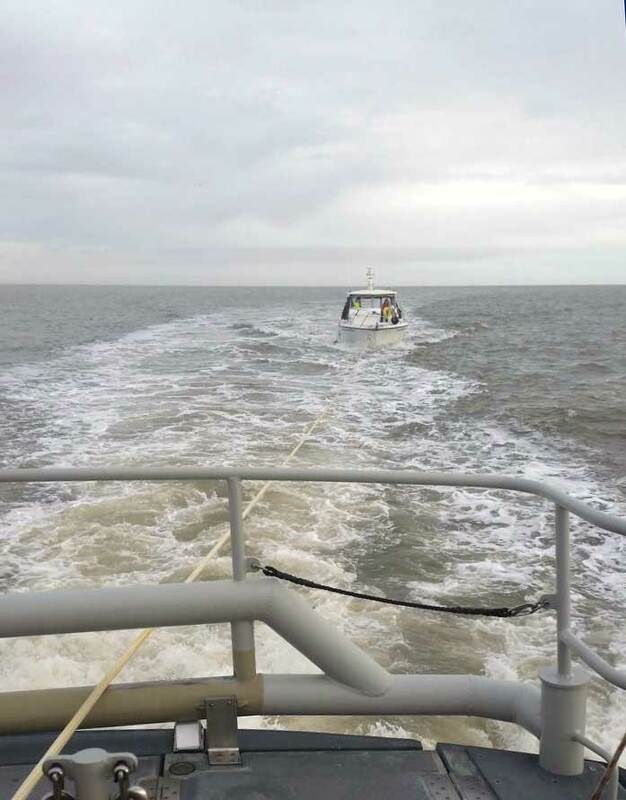 Launched to assistance of 33ft Motor Cruiser Soliataire with 3POB + 1 Dog which had broken down off of the Naze in vicinity of Stone Banks Bouy two miles NE of pier. Once on scene tow attached and vessel taken into Titchmarsh Mairna. Crew: R Farrance, K Bigwood, R Bettany, M Rayner, J Hale, K Leech & G Openshaw. Whilst leaving Harwich after a joint exercise with Harwich LB we were diverted to a suspected capsized dinghy one mile off Felixstow Seafront. Recovreed inflatable helium balloon and returned to station.